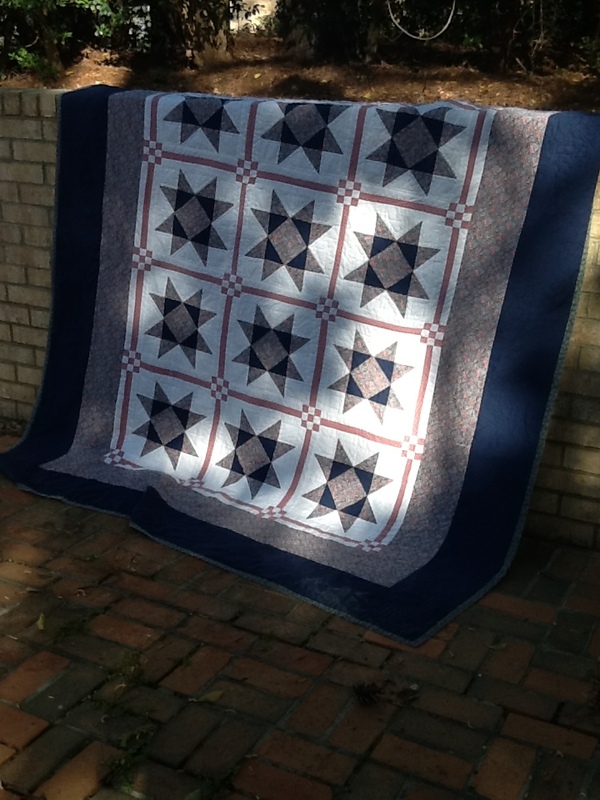 ← Last block done – ready for setting squares! I love it! It’s so nice that the quilt is being used and loved. Congratulations! 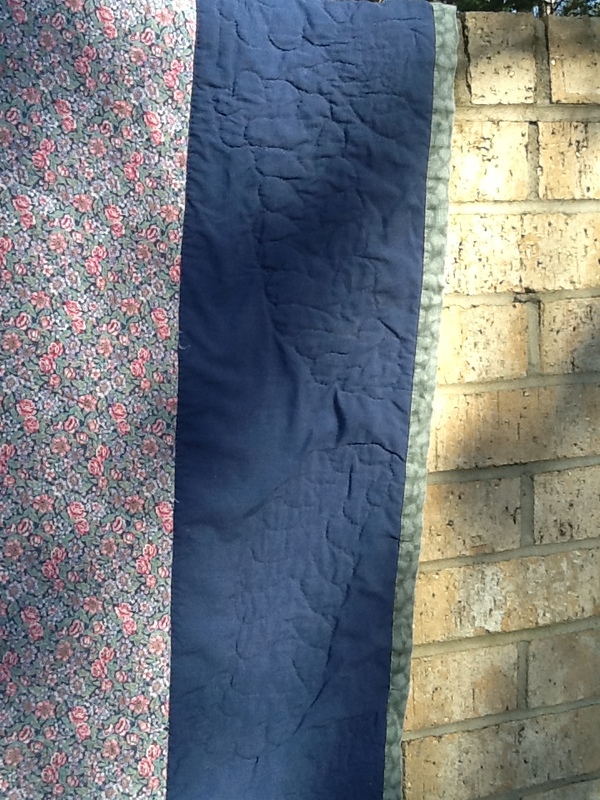 Love the retro look at your early quilts. I remember getting patterns and templates in the mail – boy have we come a long way! 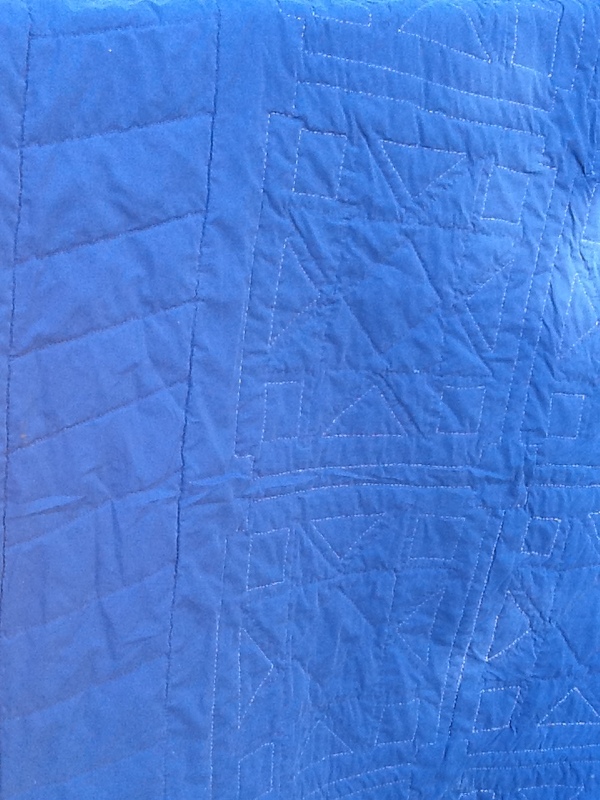 Nice that the quilt still exists and is well loved. Congratulations on reaching 100 posts!! It’s fun to look back at first quilts…..see how much we’ve changed, how differently we do things, our colour tastes, and block styles. 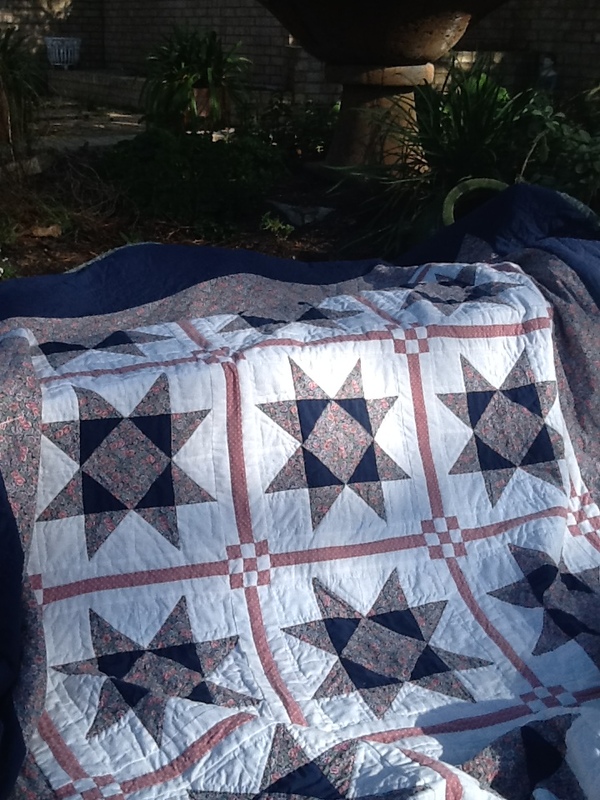 And lovely to see this quilt is so loved and used. Wow, what a blast from the past! 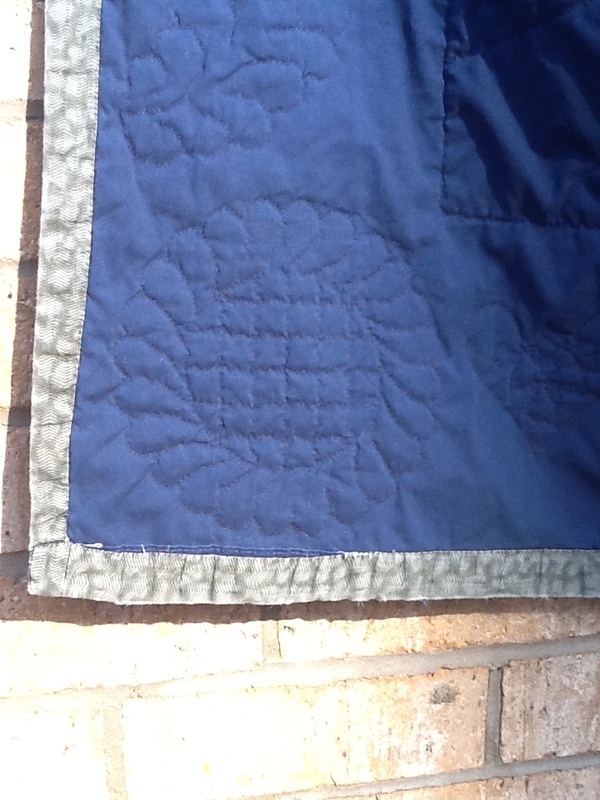 Love seeing your first quilt –and I think I had/have some of that mauve calico, too! !